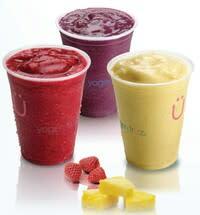 Now open in the Village at Sandhill, Yogen Früz provides delicious and nutritous frozen desserts. Just what you need to live a healthy and active lifestyle. Yogen Fruz is the #1 ranked and largest frozen dessert business in the world. Our products are prepared with only the finest fruits and all natural yogurt. 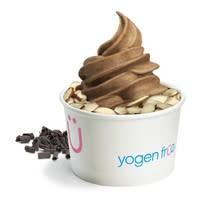 Whether it is a smoothie you prefer or rich chocolate yogurt, we guarantee there are numerous options you will love at Yogen Fruz.